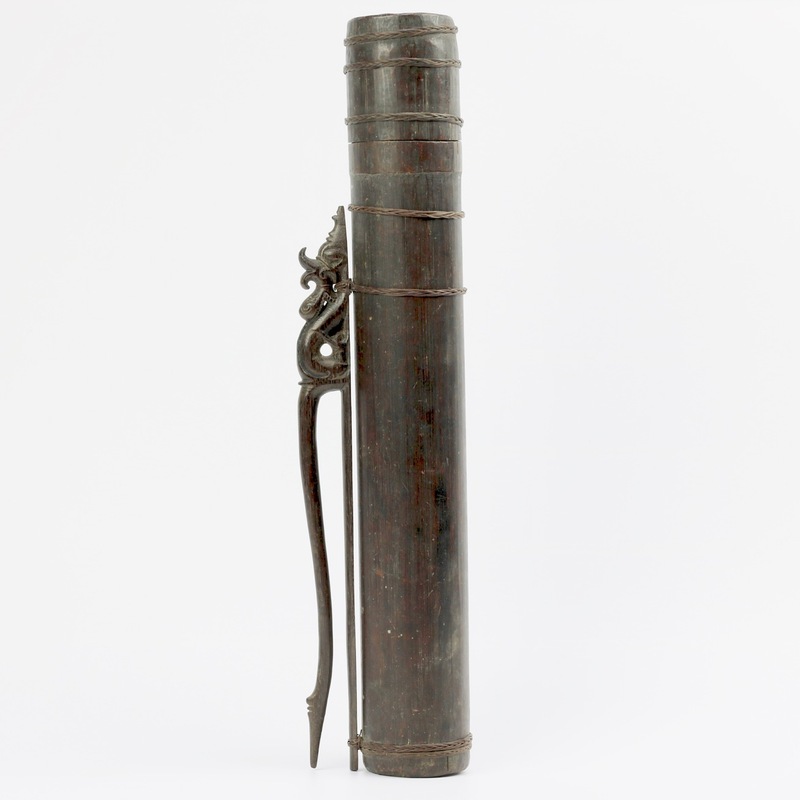 The Dayak people of Borneo used two to three meter long blowguns to hunt smaller game like monkeys and flying squirrel. Their darts were usually poisoned, meant to weaken the animal sufficiently to lose it's grip on the tree and fall. 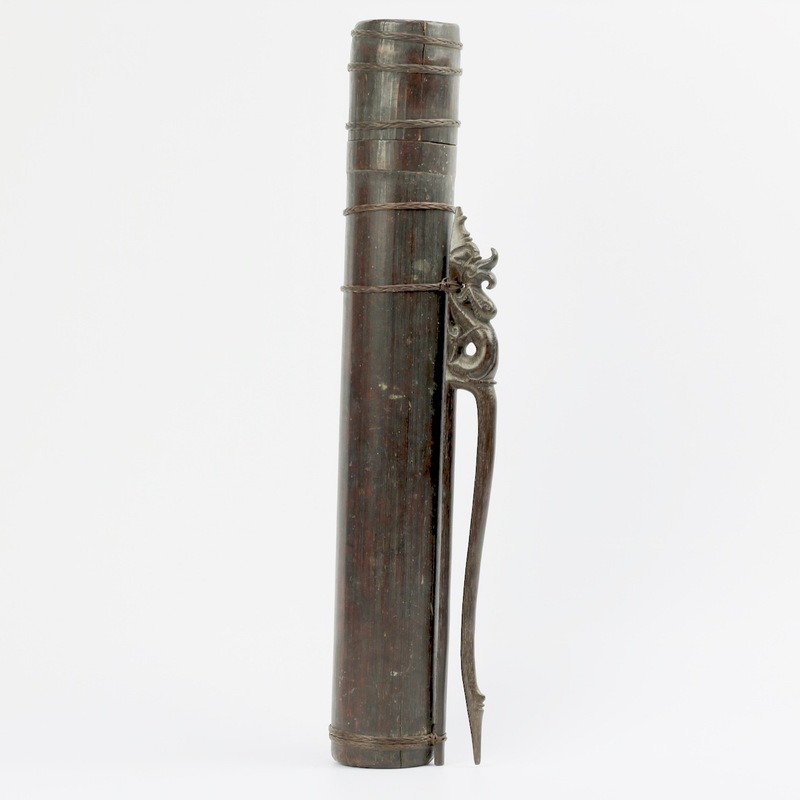 Dayak blowguns are made of hollowed-out hardwood, and tend to be rifled, like a gun, to provide the projectile with optimal stability. 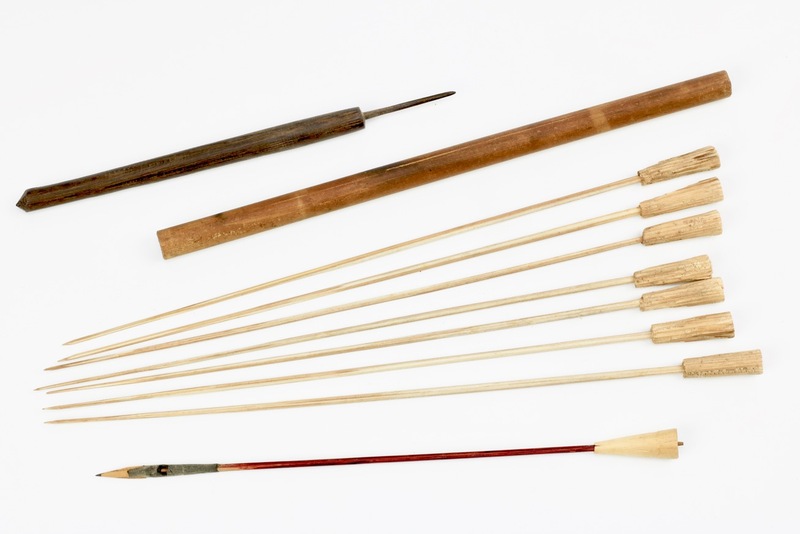 They kept their darts in a bamboo quiver, which they called tolor . 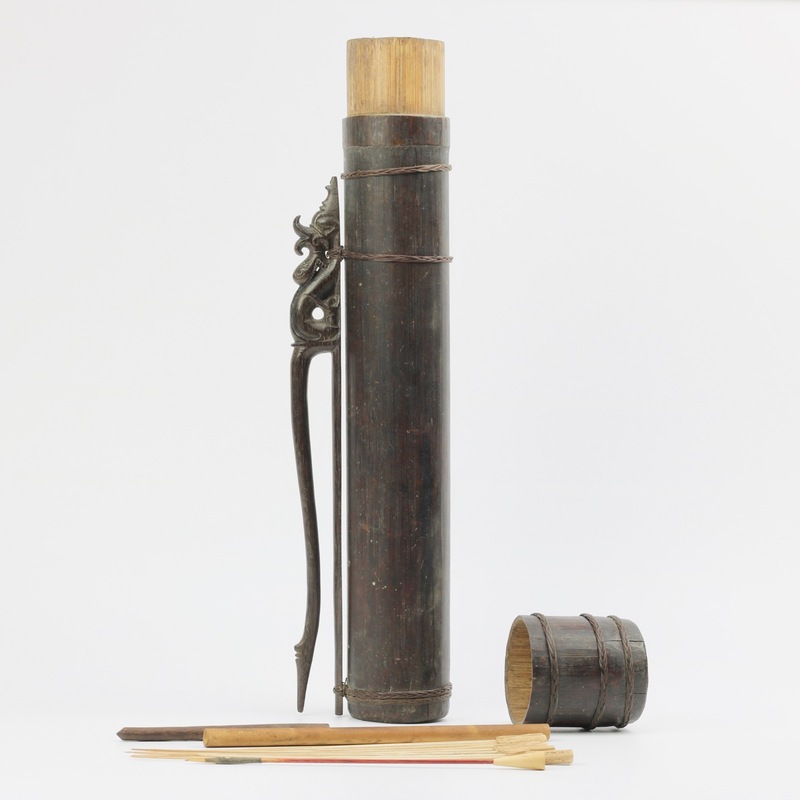 A well-made Dayak quiver made out of a large section of bamboo. 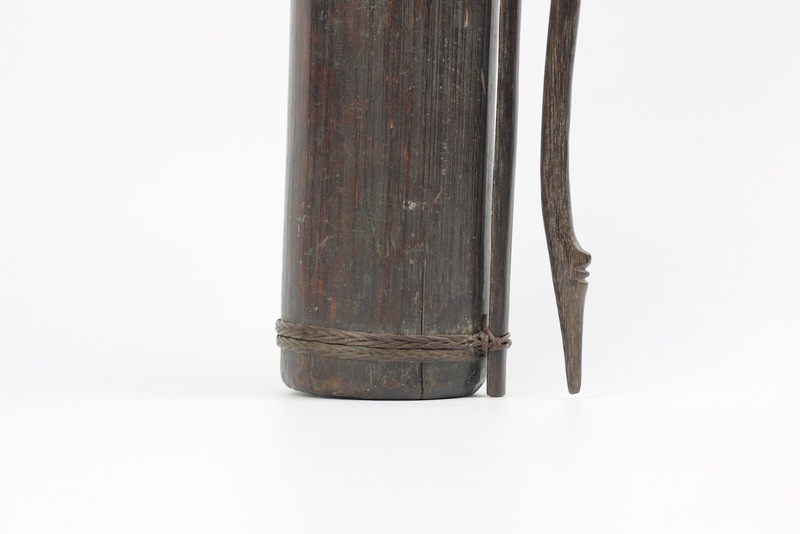 It has a large hardwood carrying hook tied to it with braided strips of rattan. 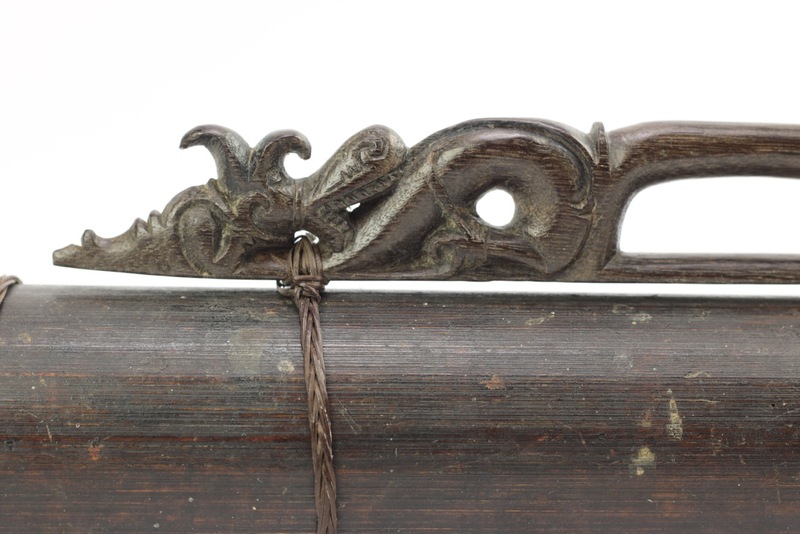 The top of the hook is carved beautifully with a mythical beast called aso which literally means "dog". These are supernatural, dragon-like beings. The carving of the beast is very nice on this particular example. The quiver contains a number of regular darts, plus what is best described as a broadhead dart with a triangular wooden tip. The broadhead comes with its tubular casing, possibly to protect the fragile tip, or to protect the user from its tip which was often poisoned during the hunt with a mixture of potent nerve poisons. 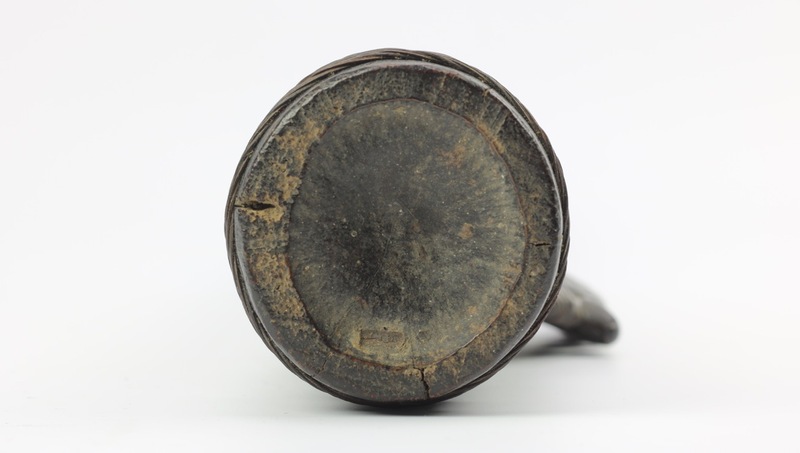 It also contains a small pen-like tool, made entirely of dense and heavy hardwood that was used to perforate and help shape the cones. 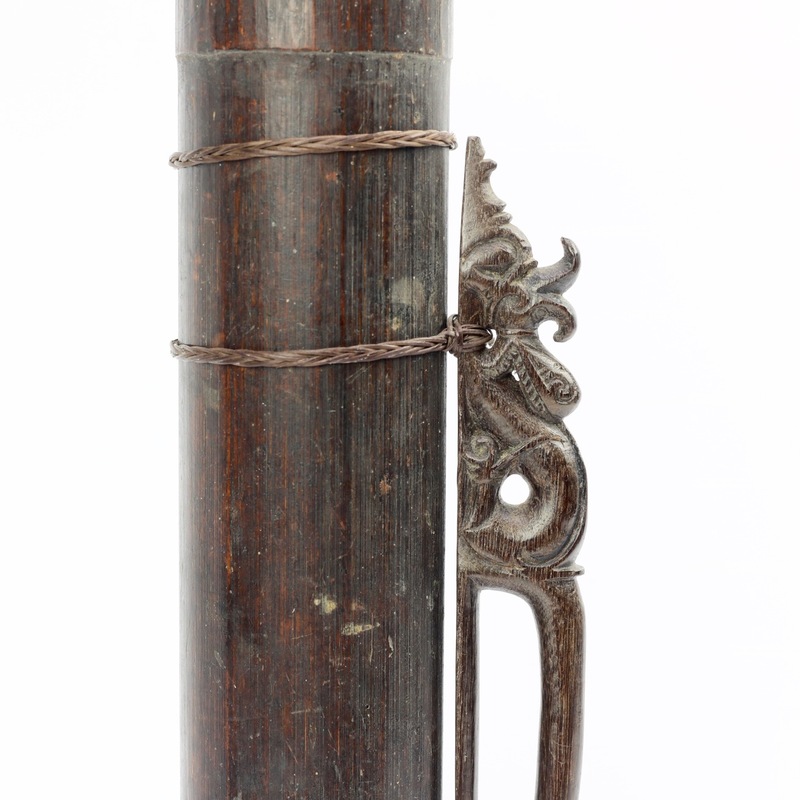 A nice and rare Dayak quiver with very nicely carved mythical animals. 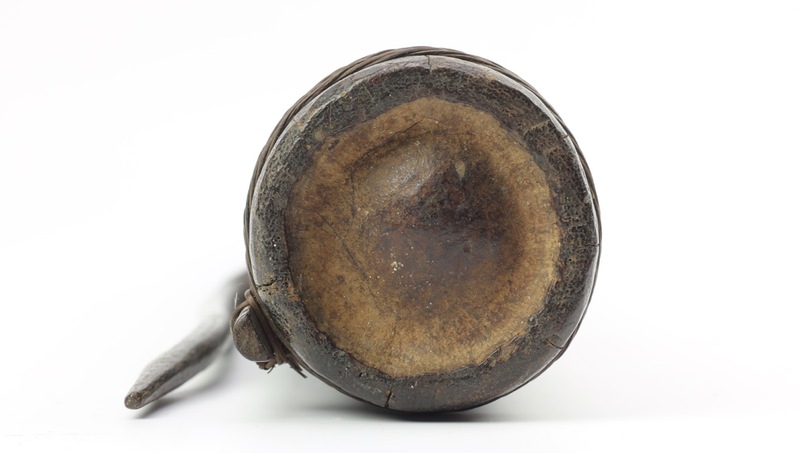 It still contains a number of darts and a tool for making the cones.